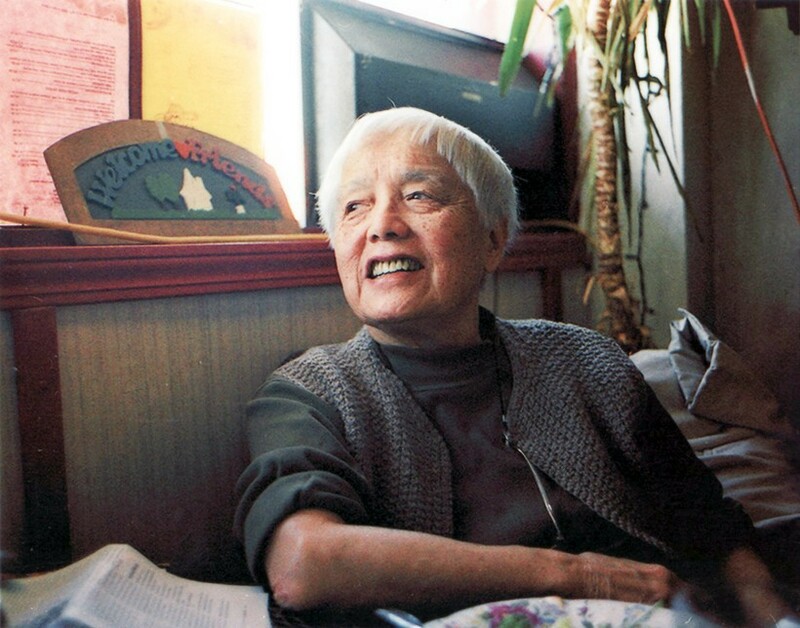 Grace Lee Boggs Credit: Quyen Tran, POV/American Documentary, Inc. Things are heating up, literally and figuratively. This year will soon become Earth’s hottest year on record and the third consecutive year for which the record has been broken. Cultural, political, and economic tensions within and across borders are escalating worldwide. The election of Donald Trump as president has ripped apart the delicate patchwork of our nation. Somehow, amidst the uncertainty and dangers we face, I feel a peculiar and newfound sense of hope. Just weeks ago, I felt as if we were more disconnected and divided than ever before despite our very survival depending on our ability to take collective action. Absent a common vision or sense of community, we seemed paralyzed. On Election Day, that all changed. The disruptive nature of the election has set the stage for radical social change. Never before, in my 40 years, has the sense of urgency been so heightened and the call for unity so pervasive and clear. Trump’s rise has erased the boundaries of disparate movements, thrusting us together to protect ourselves and prepare for the unknown dangers of the regime-elect. We are at a pivotal point. How we choose to react in the coming days, months, and years will shape the future of our nation, our world, and, most importantly, the future of generations to come. In times such as these, I look to the Oracles, in search of wisdom and perspective that grounds me. The rise of Trump necessitates resistance to ensure the safety and freedom of our Muslim, immigrant, minority, and LGBTQ brothers and sisters, and for the sake of our democracy itself. It is critical, however, that we hold tight to Grace’s wisdom that “our revolution [must] be for the purpose of accelerating our evolution to a higher plateau of humanity.” Without such evolution, our efforts will be in vain and our fundamental situation unchanged. To emerge from these tumultuous times in a better place and as better people, the deliberate and urgent construction of a new normal must take place in tandem with organized resistance. We must engage in the radical reconstruction of our way of life. We must rebuild community and restore local economies, integrating our needs with the integrity of nature. We must rethink the education of our citizenry and expand its purpose beyond the standards of the Common Core. We must reestablish critical connections between youth, elders, and professionals from all racial, ethnic and economic backgrounds, empowering each to play a vital role in our new way of living. The innovation we require lies outside the norms of prescriptive pathways. It is from within the communities struggling most that we will find authentic and effective responses to the challenges we face. It is within the shanty towns of Manila and the Waste Lands of Brazil and Nigeria where recycle-reuse-repurpose is best defined. And it is within a so-called blighted community on Chicago’s South side, where you will find everyday people redefining community economic development from the ground up. It is here that Sweet Water Foundation, where I serve as Chief Operating Officer, educates youth and employs local residents to transform their neighborhoods into economically and ecologically sustainable communities that produce engaged youth, skilled workers, art, and locally grown food. Our model demonstrates that a mere city lot, when properly cultivated, has the power to restore critical ecology, ignite regenerative systems, and seed change in people and their communities. A cultural revolution is within reach. One powerful example, vacant land and abandoned buildings — a plentiful bi-product of post-industrialized America — offer each of us the opportunity to be revolutionary. By creating spaces that reconnect us, we can cultivate resilient, interracial, and intergenerational communities that transform the ecosystems of our cities, nation and the world. When survival is your guide, there is no room for waste. Efficiency is organically derived and resilience abounds. This is the power of our times. Necessity is the source of my hope. We need only to heed the urgency of our situation, step out of our comfort zones, and embrace one another and the solutions hidden in plain sight. Originally published at www.huffingtonpost.com on December 3, 2016.